Volunteer FAQ’s – Pride Houston, Inc. The volunteering process begins with a simple application that tells us about your skills and areas of interest. You may apply directly online or by talking with a Pride representative at one of the many local events. Volunteers under 18 years of age need permissions from their guardian. How much time do I have to commit to if I volunteer? 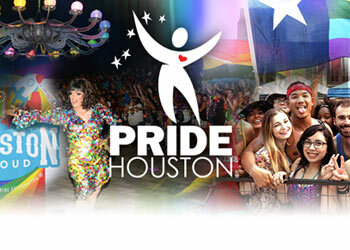 Pride Houston is very flexible when it comes to volunteering. Whether you can only commit to a few hours or an entire event Pride will work with your schedule. Do I have to sign up in advance, or can I just show up? Because our activities tend to fill up, please sign up in advance for each activity you’d like to join. This will allow us to make use of everyone’s time to the best of our ability. What can I expect when I volunteer with Pride Houston? Pride Houston was designed to lower the barriers to volunteering and socializing at all of our volunteer and social activities. At all regular Pride volunteer activities (those that you sign up for), we always have a coordinator to organize and manage the activity. Nearly all of our activities have a diverse group of people from different age and ethnic groups. If you volunteer periodically, you’ll find that you start to recognize some of the members at the activities but that there are always new members to meet. So if you are new to Pride and haven’t volunteered previously, try it once. You’ll enjoy yourself and want to sign up for more activities. Do I get a reminder with directions? For all regular Pride activities, we always send a reminder email a few days before each activity. It is a good idea to print out this email as it will include the address, directions, and contact information along with other important details. Additionally, if you provided a phone number, Pride may remind you via SMS text messaging. What do I do if I lost the directions at the last minute? If you are signed up for an event and lost the directions, you can usually find the address on the Pride Houston website or by contacting the Volunteer Chair. What if bad weather becomes an issue? Will events be canceled? Given Houston’s proximity the Gulf, inclement weather is always something to take into consideration when planning an event. Most scheduled events will continue rain-or-shine with the obvious exception of Hurricanes and Tropical Storms. If an event is canceled, you will be notified either by email or SMS text message. What can I expect if I volunteer on Festival and Parade Day? Pride This day is our signature event that you may have attended in the past and it goes on no matter the weather conditions. It takes over 250 volunteers to make this event happen. Things that volunteers will be doing are checking in floats & exhibitors, moving supplies, assisting entertainers, registering volunteers, directing traffic, parking attendants, assisting in the Parade line up, walking along the Parade as a Route Monitor, and much more. Pride will provide all volunteers on Festival and Parade day a volunteer t-shirt that must be worn. Pride will also provide some food and drinks for volunteers on this day depending on your shift. What should I wear if I volunteer on Festival and Parade Day? Naturally, June is an exceptionally warm month so come dressed according to the weather that day. Tennis shoes are recommended as you could be on your feet for long periods of time and also as a safety issue. If the weather is sunny please remember to wear sunblock to avoid getting burned. When is the Pride Awards Ceremony (aka the volunteer appreciation party)? When is the Pride Awards Ceremony (aka the volunteer appreciation party)? On Wednesday, July 1 is the Pride Awards Ceremony will be held at 401 Branard Street. This event honors all the volunteers who have helped out on Festival and Parade day as well as throughout the season. There will be door prizes, food, awards, music and a lot of fun. This is Pride’s way of saying thank you to the many volunteers who gave time from their lives to help out our community. When we work together as a community we can accomplish great things.